A day after the U.S. proposed adding a 25 percent tariff to $50 billion of goods imported from China, China responded in kind. 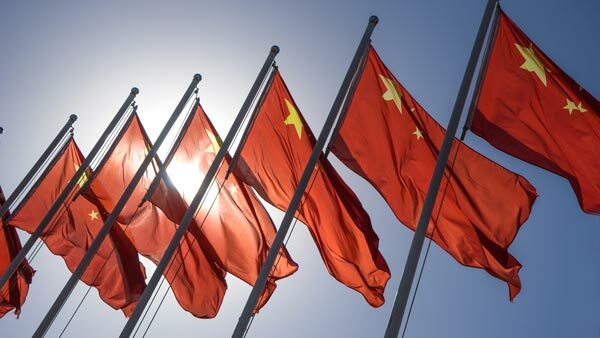 China's Ministry of Commerce released a statement listing 106 U.S. products it plans to tax, including soybeans, corn, beef, whiskey, tobacco and aircraft. China didn't say when its own 25 percent tariff on approximately $50 billion of U.S. exports would take effect. "This measure of the United States clearly violates the relevant rules of the World Trade Organization and seriously violates China's legitimate rights and interests under the rules of the World Trade Organization and threatens China's economic interests and security," according to the Ministry of Commerce's statement. "In order to safeguard China's legitimate rights and interests in violation of international obligations of the United States, the Chinese government will rely on laws and regulations of the 'Foreign Trade Law of the People's Republic of China' and other basic principles of international law."